Darren Waterston. "Vent," 2011. Oil on linen. 24x30 inches. Darren Waterston. 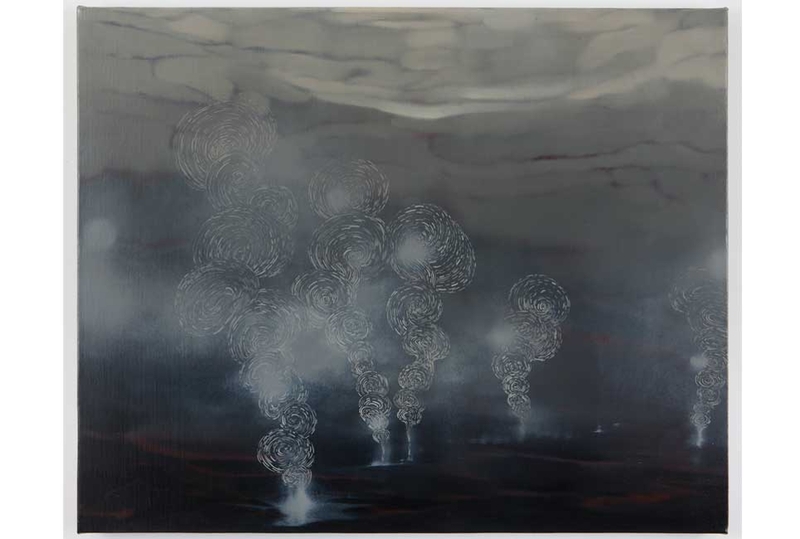 "Fissure Vents," 2011. Oil on linen. 24 x 30 inches. Take a tour of art focusing on works by artist Darren Waterston from his current exhibition Forest Eater. Please check-in at the Visitor Information Center to attend this tour. 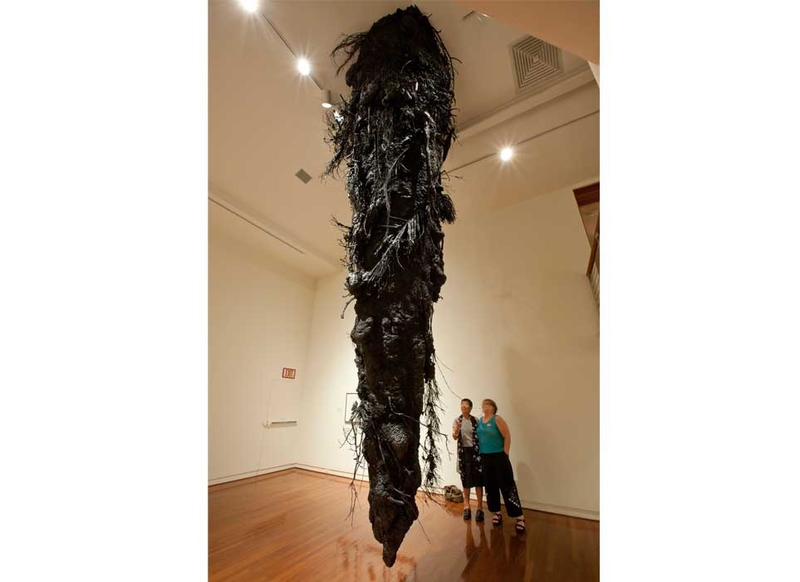 Docent Mary Flynn lead a tour of art focusing on the Darren Waterston exhibition Forest Eater. If you are interested in attending this tour, please call the Visitor Information Center at 532-3621 to make a reservation. Over the course of the past year, as part of The Contemporary Museum’s artist-in-residence program, New York-based artist Darren Waterston made several trips to Hawai‘i, where he hiked on lava flows at Volcanoes National Park and researched past artists’ depictions of and writings on Pele and volcanoes. The result is Forest Eater, his response to the landscape of Hawai‘i and his interest in Pele, Hawaiian goddess of fire, lightning and volcanoes. The two-part exhibition is staged at The Contemporary Museum, Makiki Heights, and at the Honolulu Academy of Arts. For the installation at the Academy, Waterston selected works from the museum’s prints and drawings collection and combined them with his recent paintings on panel, canvas, and paper. 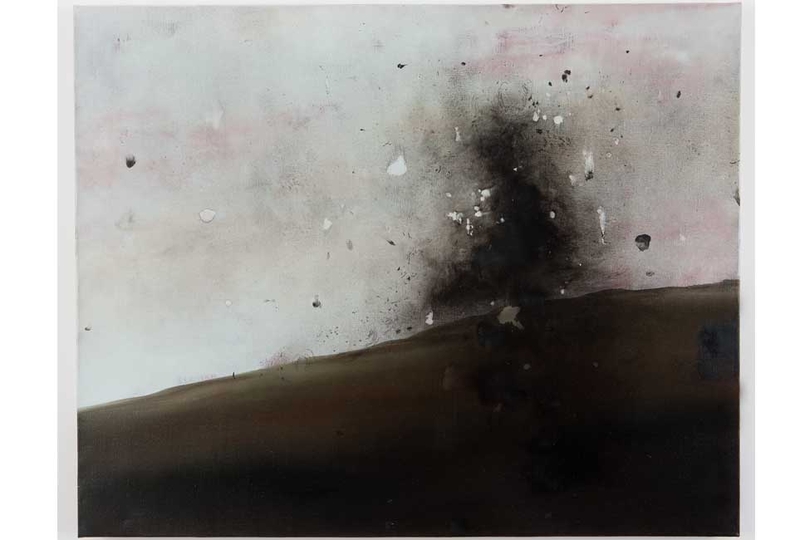 The juxtaposition of historic and contemporary views of the volcanic landscape creates a thoughtful dialogue between past and present and marks the first time the Academy is exhibiting works from its collection within a contemporary artist’s installation. Waterston’s recent work continues the tradition of visiting artists creating work reflecting their experience of Hawai‘i, as can be seen in paintings by artists from Jules Tavernier to Georgia O’Keeffe, also on view in the John Dominis and Patches Damon Holt Gallery. The Academy documented the phenomenon in its 1992 Academy exhibition and catalogue, Encounters with Paradise. On view at The Contemporary Museum (Spalding House), is the majority of Waterston's Forest Eater series, including three new sculptures surrounded by more than 40 paintings. The installation’s centerpiece is a jaw-dropping 22-foot sculpture, Waterston’s largest to date, suspended from the museum’s ceiling. May 27-June 5: See Waterston paint a mural on The Contemporary Museum's entry lanai during museum hours (Tue-Sat 10am-4pm, Sun noon-4pm). 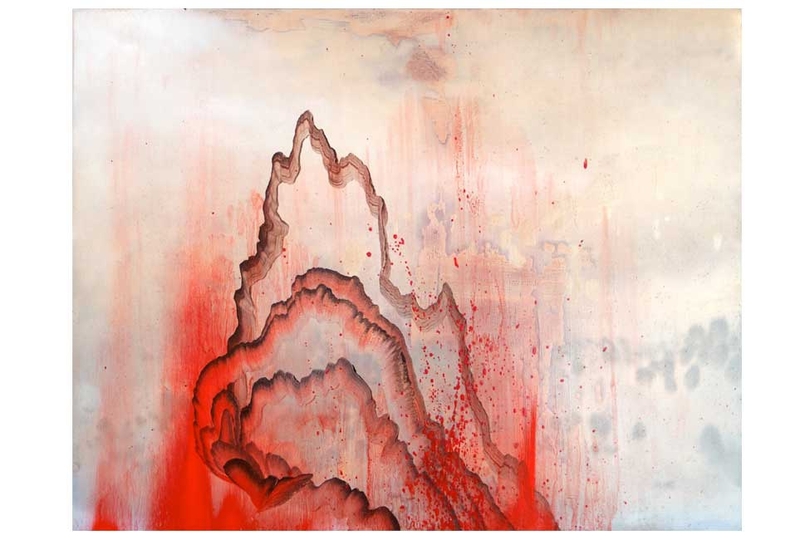 Darren Waterston: Forest Eater catalog is available at the Honolulu Museum of Art Shop and online.